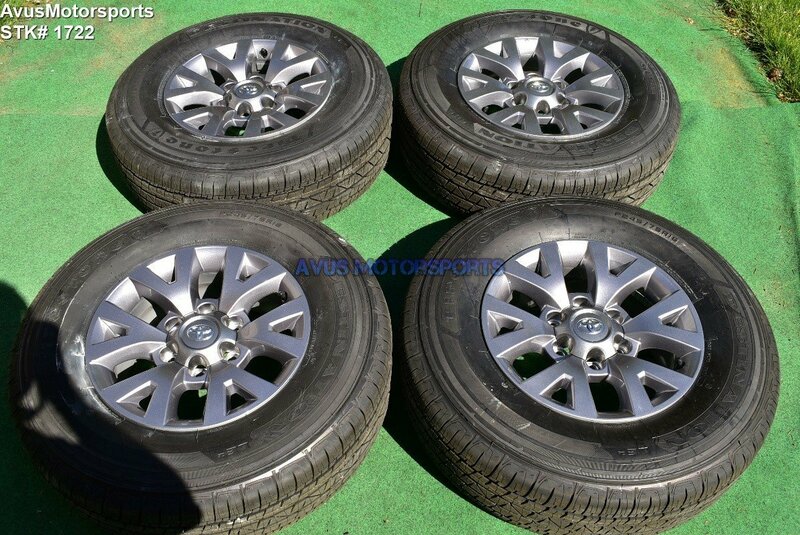 This auction is for a set of (4) 2018 Toyota Tacoma 16" OEM genuine factory wheels NOT REPLICA with Firestone Destination LE2 P245/75R16 tires. These rims and tires were taken off around 50 miles. Like all take off wheels you would expect some scratches or blemishes, but no bends or cracks. These wheels has NEVER been repaired, remanufactured or refinished, 100% original.